You love your lawn. You’ve spent years on a chemical maintenance plan; and you had great success in the beginning. But now, your lawn has spiraled downward out of control. No matter how many chemical fertilizer treatments you applied, things have only seemed to get worse. Your lawn has become patchy and weak, diseases and pests have moved in, or maybe you’ve lost it altogether. Before you turn to another chemical treatment for an answer, we’d like to ask you to first take a closer look at your soil…and then be ready to give it time to heal. 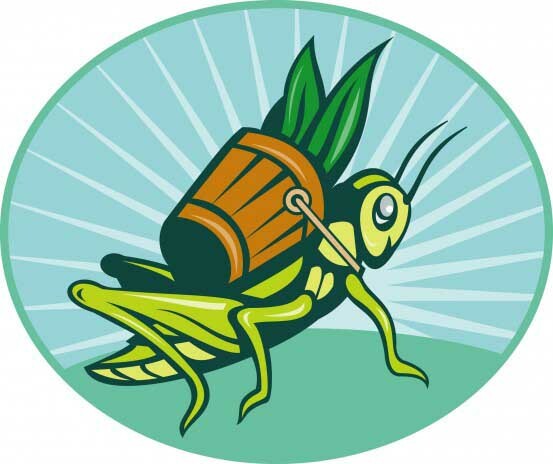 It’s easy to think of chemical treatments and fertilizers as a magic bullet. But just as with our own health, sometimes there is an underlying condition that this or that pill just won’t fix. Such is the case with an unhappy lawn or landscape. More fertilizer may not be the answer. The underlying condition (literally) may lurk underneath your lawn, in the soil. The bottom line is, weak soil grows a weak lawn. If your soil isn’t healthy and strong, then you’ll be wasting your time and money on all those chemical products. Chemical fertilizer programs only feed the plants, not the soil. Over time, as the chemical treatments kill off the life in the soil, you make your plants completely dependent on the addition of chemical fertilizers; the soil can no longer feed your plants for you. Basically, it’s like you’ve created an artificial environment for your plants, outdoors. So, how do you fix the situation? We all love immediate gratification; but for long-term organic results, you must employ long-term care…and patience. When homeowners use chemical fertilizers, they are often amazed by the immediate results; plants will “green up” quickly after you dose them with a synthetic 20% Nitrogen fertilizer. With organics, you typically will not see those same immediate results; but you will see them over time as organic amendments improve the quality of your soil. This is a phrase often used to explain the growth habit if new-planted shrubs and trees. We think it also applies well to soil rehabilitation. When transitioning your lawn from synthetics to organics, don’t expect overnight results. One to three years is a realistic expectation to see a strong and meaningful improvement. As you continue on your soil health plan, you’ll notice the texture of your compacted, lifeless soil coming back to life. It will become looser and darker. You’ll notice earthworms populating the soil. And at this point, you will know that everything is working in the soil as it should be. The Soil Food Web is fully in play and your soil is filling with microbial activity that is helping your plants to uptake nutrients more efficiently, growing them stronger and healthier. 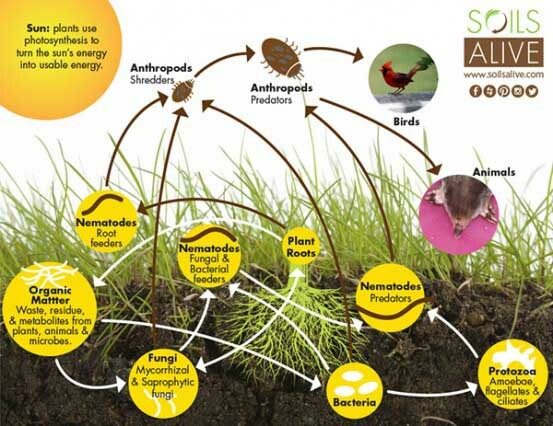 The Soil Food Web explains the life of your soil. Long-term results require long-term care. When you stop feeding the soil, it will most likely revert back to its less than productive condition. Our heavy clay soils are prone to compaction, which leads to root suffocation, nutrient deficiencies and lawn decline. With patience comes great rewards. A healthy, strong, green lawn that you, your kids and pets can enjoy safely is well worth the commitment. Over time, you’ll spend much less time and money on your organically cared-for lawn than a chemically enhanced one. If you’ve been a part of our ongoing Soil Building Program,we’d love to hear from you how your lawn is doing. Feel free to E-mail us your favorite photos or post on our social media channels! Facebook, Twitter, and Instagram.